Escapade guaranteed with this printed T-shirt! A map of Africa and all the animals of the jungle on the map! At Vertbaudet, no T-shirt tells the same story! 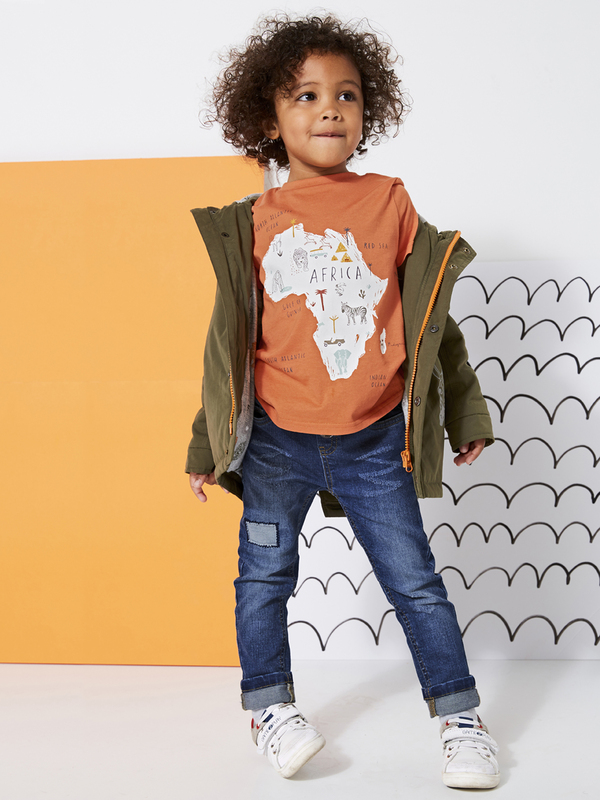 Boys' t-shirt in pure cotton.